Figure 3. The Night Vision PWR Switch. Home > Ordnance Documents and other related manuals > > Figure 3. 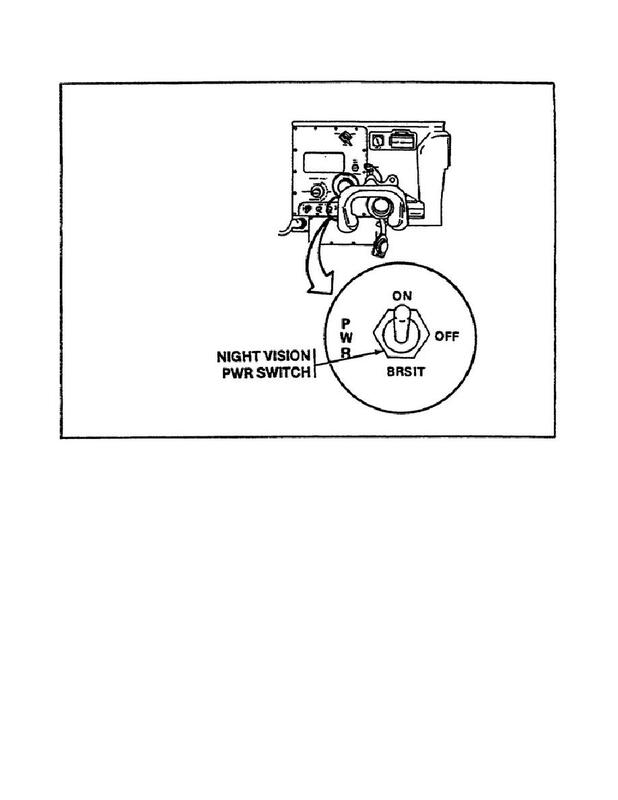 The Night Vision PWR Switch. THE NIGHT VISION PWR SWITCH. (6) Next, the ballistic sight cover doors must be raised. is heard (figure 6 on page 10). SS or HE SS button on the weapon control box (figure 7 on page 10). used. Therefore, the AP SS button should be pushed at this time.